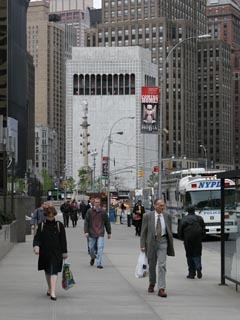 This summer the city agreed to sell 2 Columbus Circle, designed in 1965 by Edward Durell Stone as Huntington Hartford's Gallery of Modern Art to the American Craft Museum. 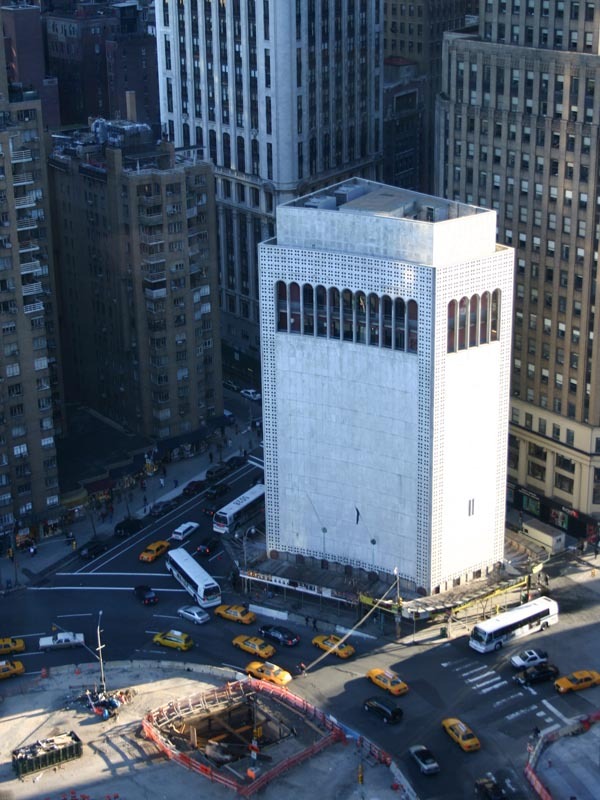 The cost of purchasing and renovating the building, officials at the museum say, will exceed $30 million. The building, a marble box punctuated by round holes on the south side of Columbus Circle, will most likely be torn down or greatly altered. The museum board recently announced four finalists in a competition among 11 architects competing for the job. They are Allied Works Architecture of Portland, Ore.; Zaha Hadid of London; and two New York firms, Toshiko Mori Architect and Smith-Miller & Hawkinson Architects. In 1874, John D. Voorhis, a carriage maker, built the seven-story Grand Circle Hotel designed by architect William H. Cauvet at 2 Columbus Circle. The New York Times in 1875 said it was the “most healthy location in New York City” (perhaps because it was opposite Central Park). 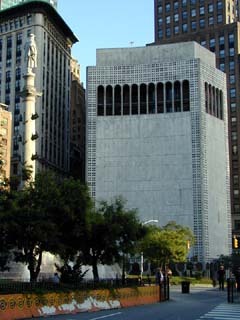 In 1960, it was demolished for the Hartford Museum which is now being reconstructed as the Museum of Arts and Design. 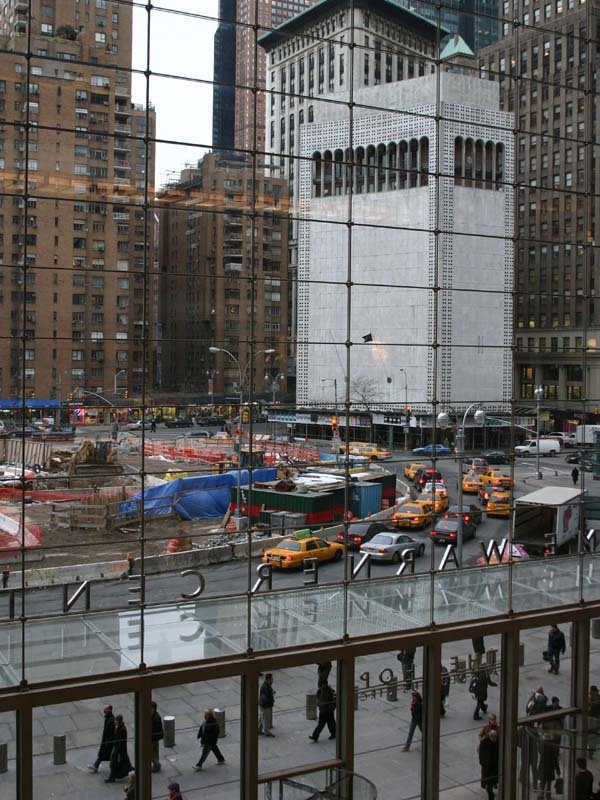 The work has started on 2 Columbus Circle building. 3 December 2005. 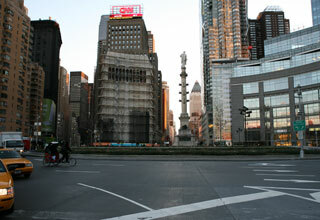 2 Columbus Circle and the entrance to The Shops at Columbus Circle. 2 Columbus Circle - the view down Broadway. 7 May 2005. The view of 2 Columbus Circle from the 35th floor of the new Mandarin Oriental New York Hotel . 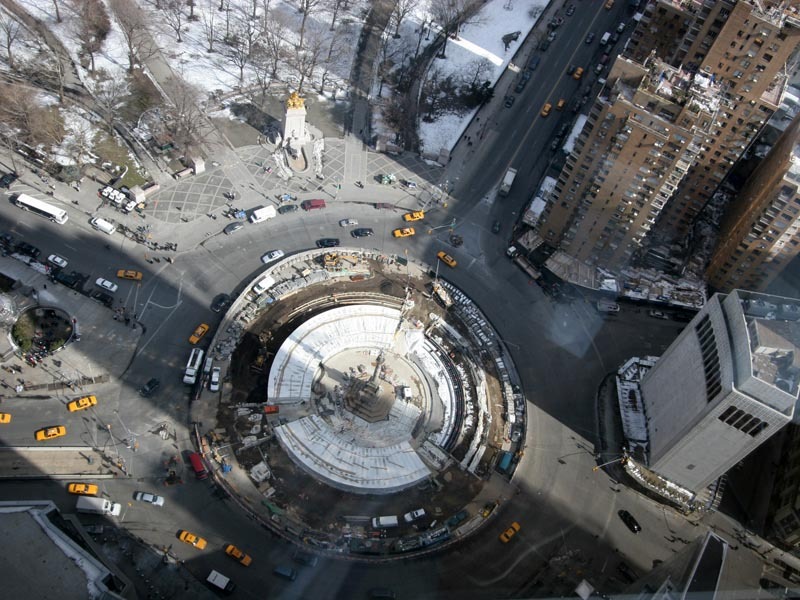 The view of 2 Columbus Circle from the 35th floor of the new Mandarin Oriental New York Hotel . 28 December 2003. 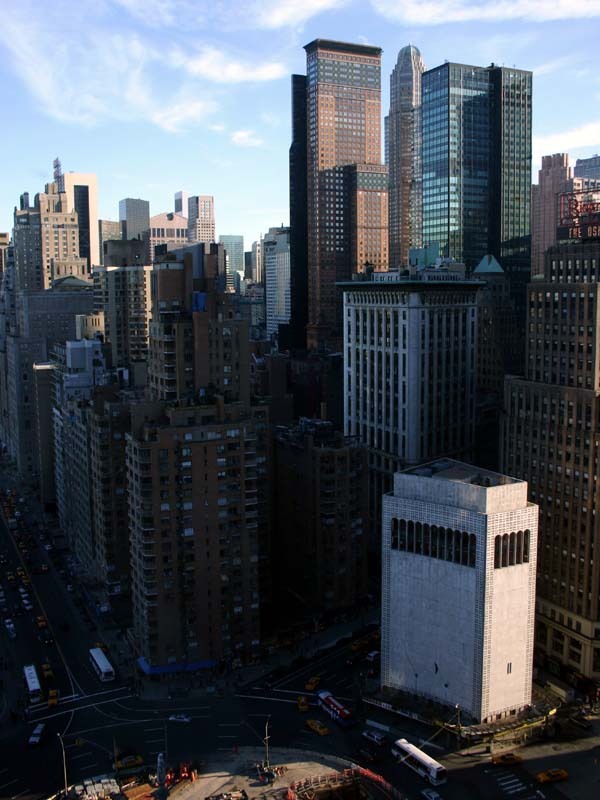 The view of Columbus Circle from One Central Park condominiums. 10 March 2005. 2 Columbus Circle. 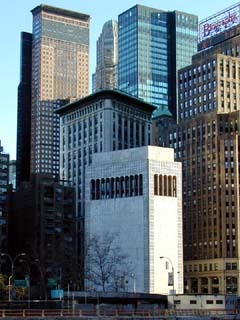 The view from 60th Street. 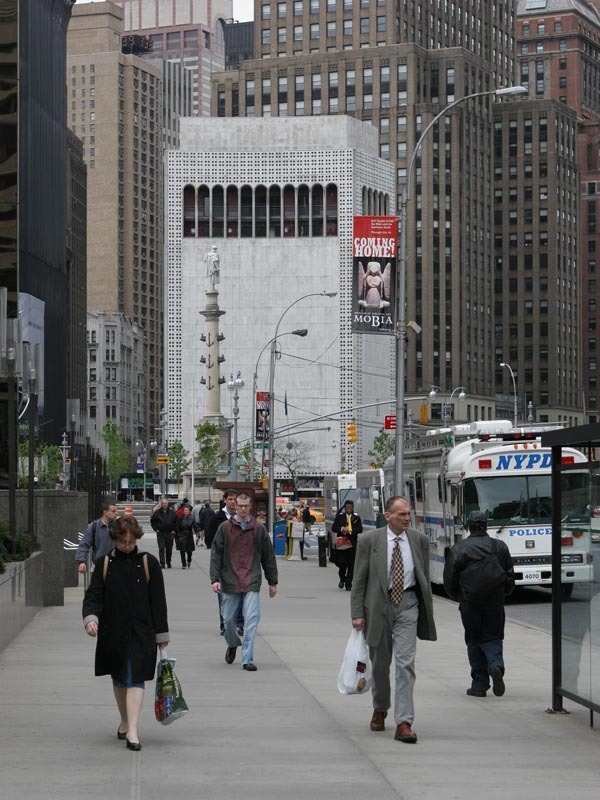 2 Columbus Circle. The statue of Columbus on the left. 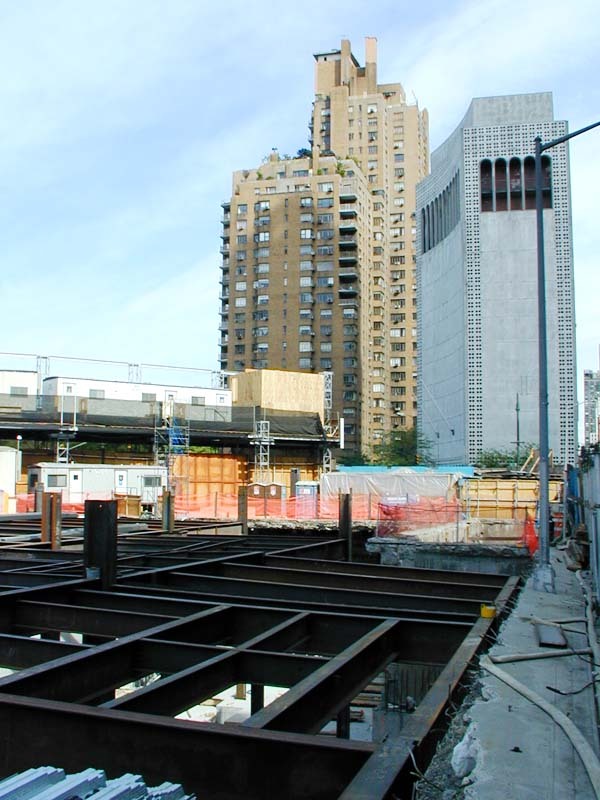 Construction site of Time Warner Center and 2 Columbus Circle building. 5 May 2001.